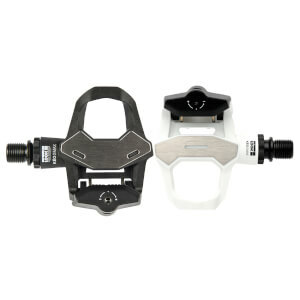 Discover the fun and the benefits of riding with the Kéo Classic 3 clipless pedal. Simple to use, it is possible to adjustment the cleat entry/release tension to low for an easy clip out. Its large and wide contact surface provides excellent pedaling stability. The Kéo Classic 3 spindle is made up of an oversized steel axle with miniature ball bearings (12 mm inside x 18 mm outside) and a needle bearing cartridge for improved wear resistance. A spacer is used to hold the needle bearing cartridge in place. 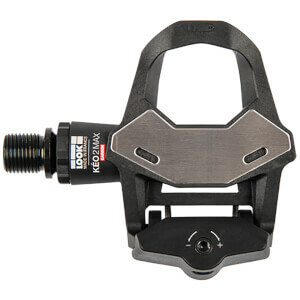 A new method of fitting the spindle into the pedal body also ensures the prolonged reliability of our pedals. LOOK spindles are only approved after a rotational test of 2 million cycles at 100tr/min with a load of 90kg on the center of the pedal and an eccentric rotation (creating a shock on each rotation). LOOK spindles are only approved after a rotational test of 2 million cycles at 100tr/min with a load of 90kg on the center of the pedal and an eccentric rotation (creating a shock on each rotation). This test is far more grueling to the current industry standard, the EN14781.